In India, the federal territories are formally called union territories. There are seven of these: Andaman and Nicobar Islands, Chandigarh, Dadra and Nagar Haveli, Daman and Diu, Delhi, Lakshadweep and Puducherry. France annexed the complete area after World War I. Since then, the German national government never had direct control over a German territory, with the exception of the Nazi government; however, Nazi Germany was - like East Germany - a centralized state where state governments were de facto abolished. 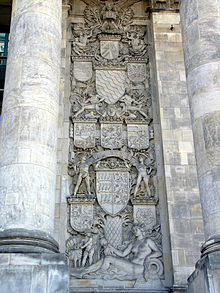 The Federal Republic of Germany's Basic Law does not currently provide a legal way to create a federal territory, including a capital district, and describes the German national territory as being composed solely of states.